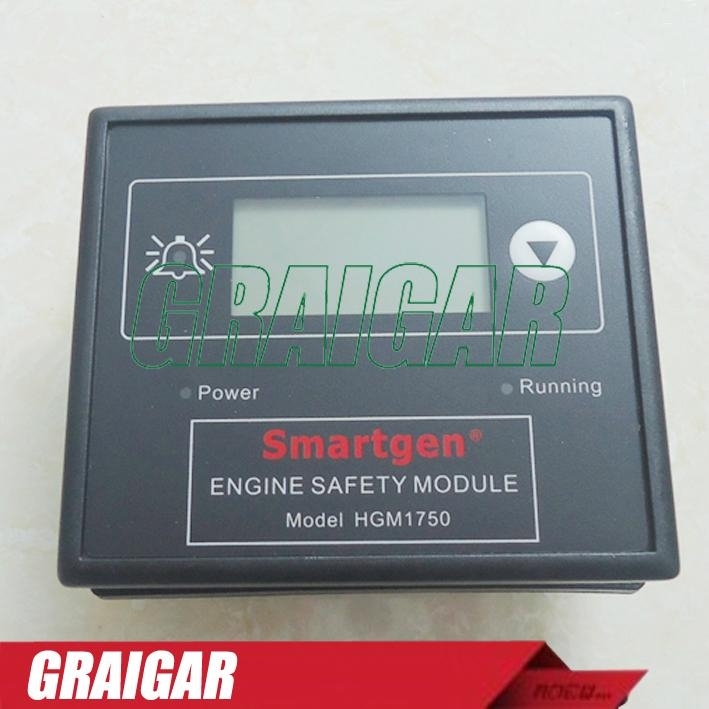 HGM1750 for a generator / engine display protection module can display generator / engine electrical parameters (such as voltage, speed, temperature, oil pressure, fuel-bit, etc.) 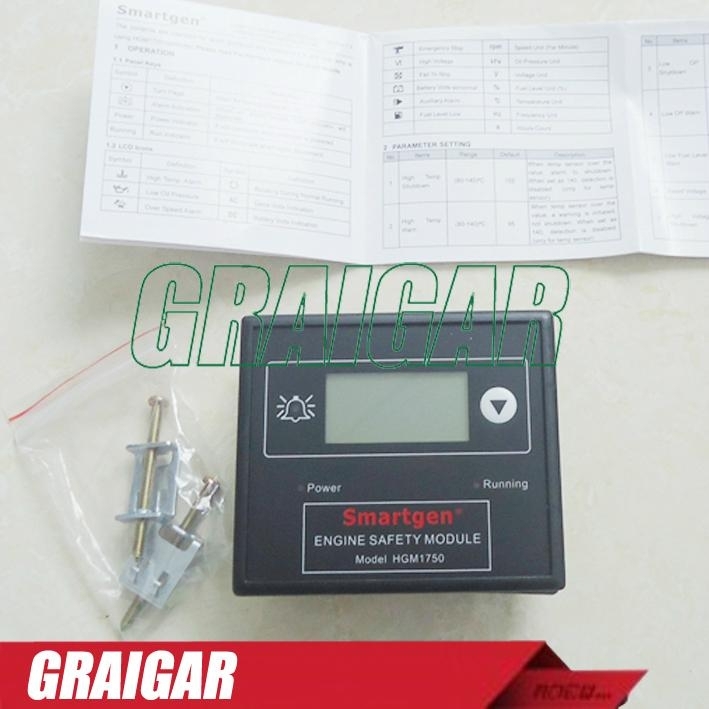 can also detect failures (oil down, the water temperature / cylinder temperature Gao, emergency stop alarm, speeding, etc.) to issue stop orders. 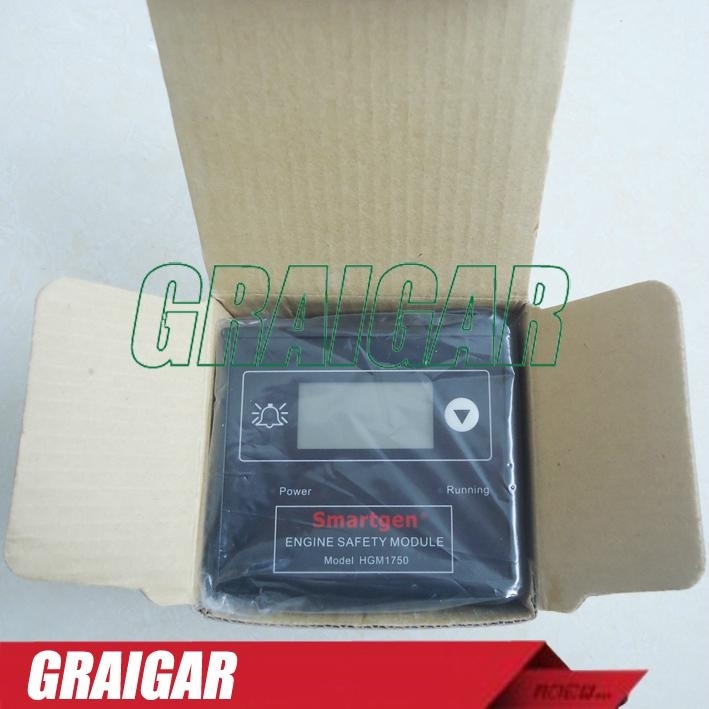 Graphic LCD display panel and instructions parametric fault state, providing a real and effective fault alarm signal. 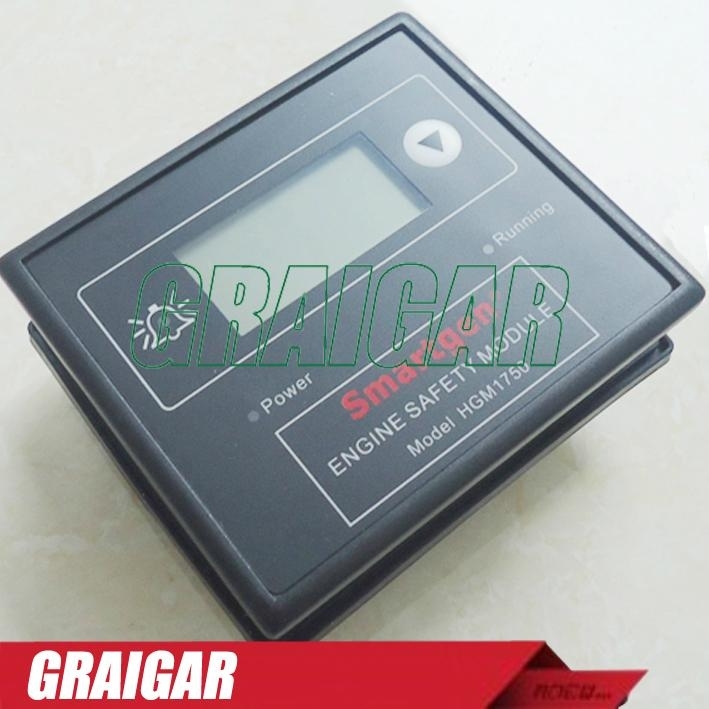 microprocessor core, large-screen LCD with blue backlight displays icons symbols could be that oil machine and electrical parameters and alarm volume. Wide range of power supply (8-35) VDC, can adapt to the environment 12V or 24V starter batteries. 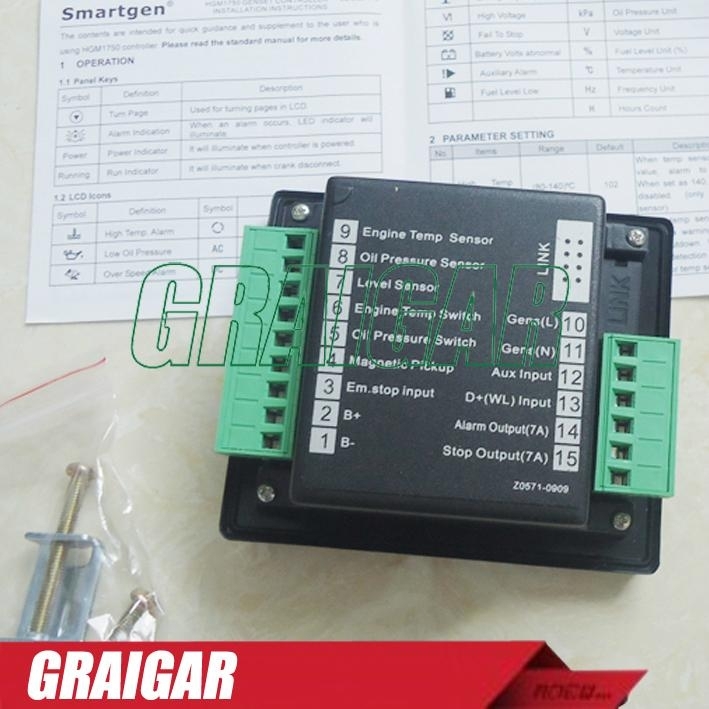 software settings can be set to the engine controller controller (do not choose to power voltage input). panel equipped with red light-emitting diode (LED) display the work and alarm state. provide charging alternator excitation function. Speed signal desirableSince the power frequency or speed sensors. a variety of temperature, pressure, oil level sensor can be used directly, and can custom curves. Programmable input port with a switch capacity can choose different functions according to user needs. mouth through the LINK program testing software for PC-parameter settings (using the company's SG72 adapter),PC machines only a USB interface, parameters can be set in the real machine or not to take batteries from the USB to the PC, controller supplies power to carry out parameter settings.